Today, I'm paying tribute to two of the most wonderful ladies that I will be traveling with to England and Scotland in June 2011. Plans for this trip have been in the making since last September when our church started building a long awaited new church. 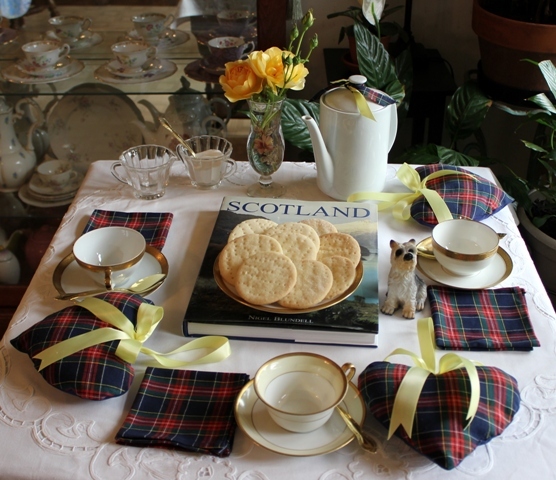 As a fundraiser the members designed a church tour to England and Scotland. 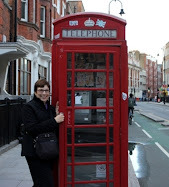 I have the privilege to be traveling with women who are experienced travelers and have been to England before. At the top of the post are pages with more information on the planning for this wonderful experience. The main purpose of this trip is to visit the island of Iona in Scotland where Christianity began in 563 A.D. I have been doing alot of reading about Scotland. And what the Scottish people like to eat. 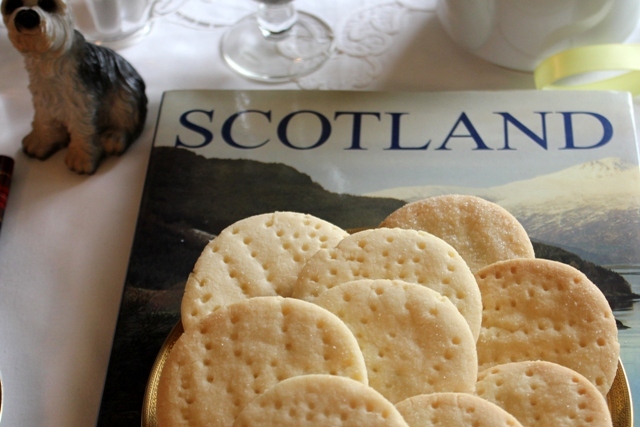 I discovered that the Scottish Shortbread cookie in one of their the all time favorites. 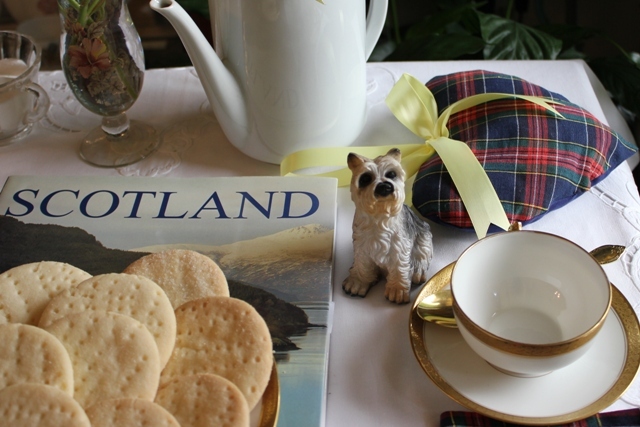 Dogs are an important part of the Scottish way of life. This little dog is my version of a Scottish Terrier. 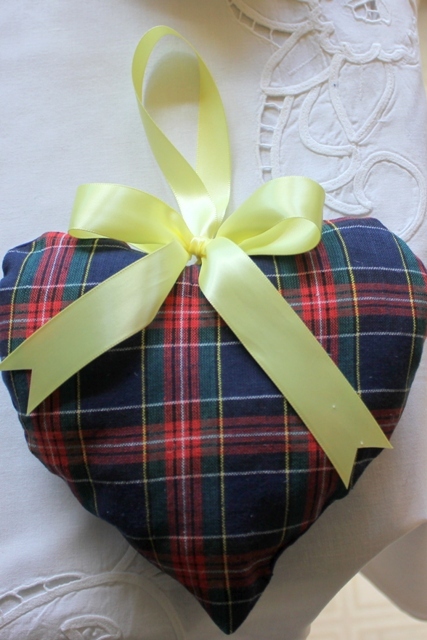 A handmade Tartan Lavender Sachet is a small token of my gratitude for opportunity to travel with such caring women. 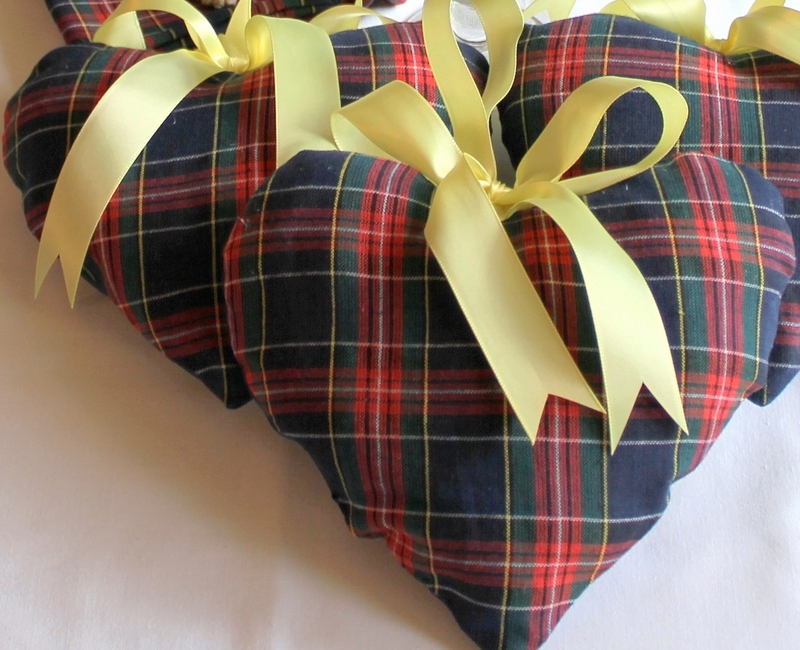 Tartan ~ is a rich material ~ Woolen cloth with a woven pattern of straight lines of different colors and widths crossing at right angles, especially as worn in the Scottish Highlands, where each clan has its own pattern. 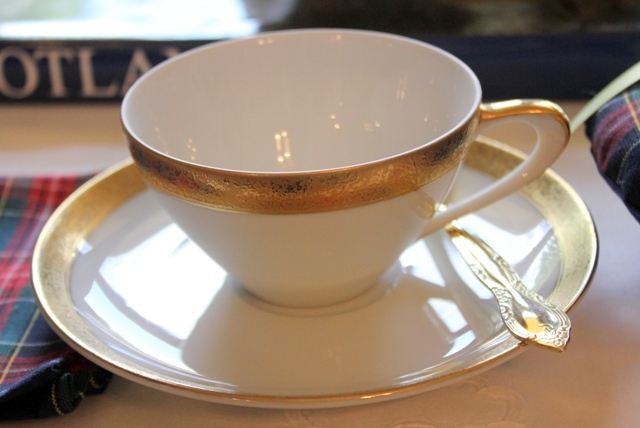 Regal and Elegant are the china tea cups and saucers trimmed in gold with a golden teaspoon for stirring. 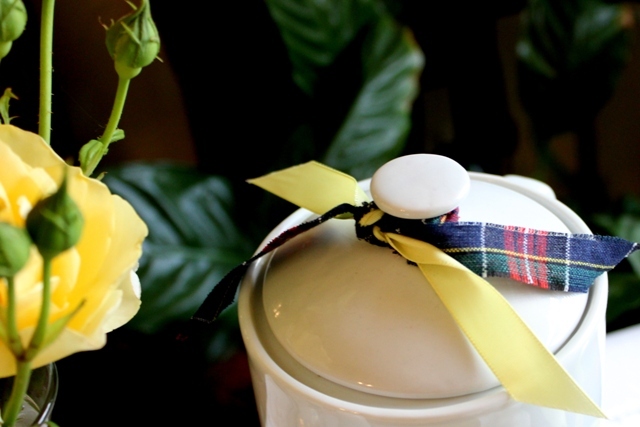 The color of yellow and tartan are reminiscent of the Scottish culture. 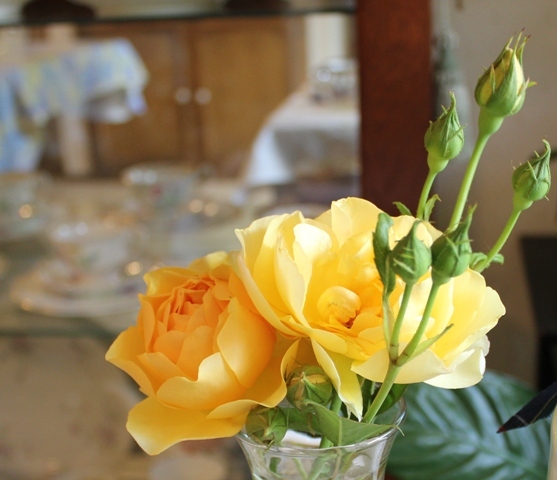 'Graham Thomas' is one of my favorite English roses. 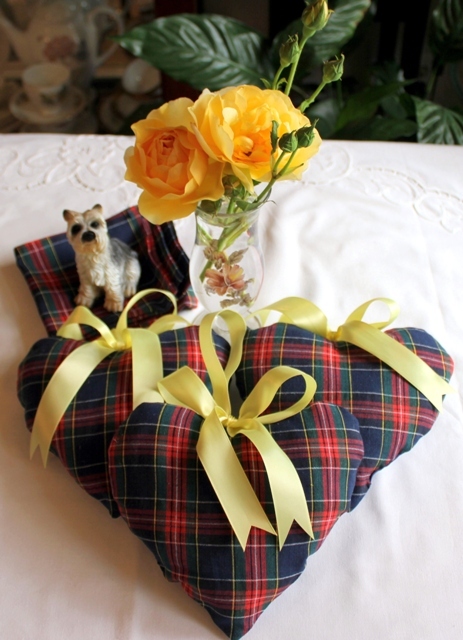 The beautiful golden yellow blooms are so soft like the sky of an Scottish coastline. And the dark lush green leaves could be the same shade as a Scottish countryside. 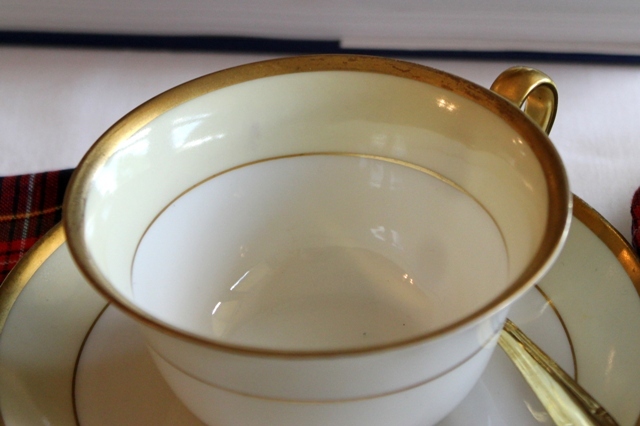 Small handmade napkins are just the right size to dab the crumbs from our lips. Visit often, but not too much. Be willing to help in an instant. Pray often for one another. Give and take makes good friends. It's always pleasure to have your company at My Cozy Corner. 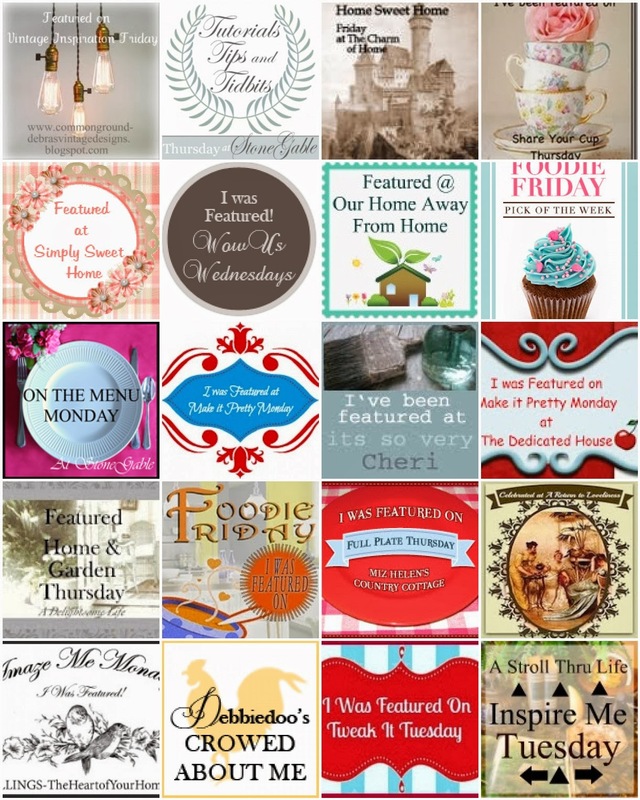 I'm joining some awesome parties and I would like if you would link back to them for a myriad of wonderful inspiration. Begorra!, Betty. What a fabulous touch o'Scotland in your beautiful setting. Love LOVE that rose. What a wonderful time you will have in Scotland. My huband's family name is Wallace and we have been to the island of Iona. Scotland is beautiful. Your tablescape almost made me feel inspired to plant a rose garden and I've never had success with them at all. 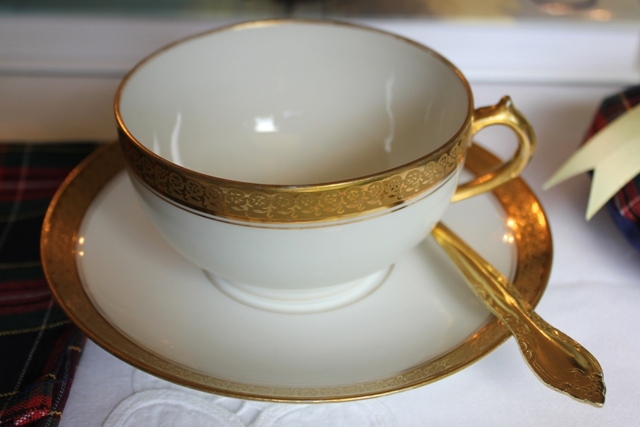 lol Your teacups are lovely. 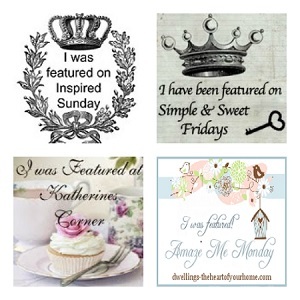 Thanks for linking up your beautiful tablescape...I SO enjoyed it! What lovely little sachets you have made. Enjoy your trip, it sounds marvelous! All my ancestors are from the UK. What a joy to get to visit! Thanks for linking this up! I'm your latest follower! I'm so jelous, I wish I was going to Scottland too! I've been to England twice, but no Ireland, or Scottland, but I will some day. 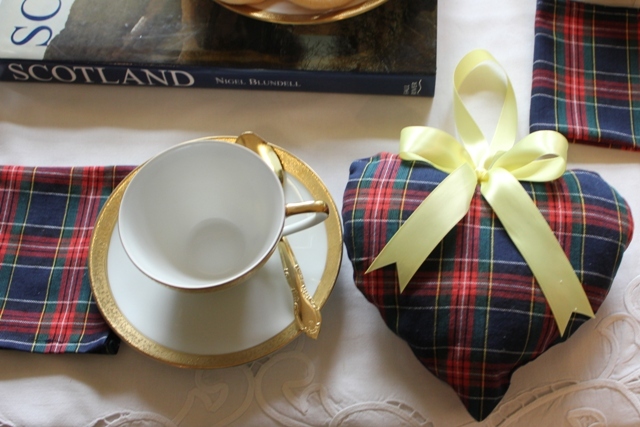 Your tartan heart sachet it's so cute and the biscuits look delish! You're definetly all ready! 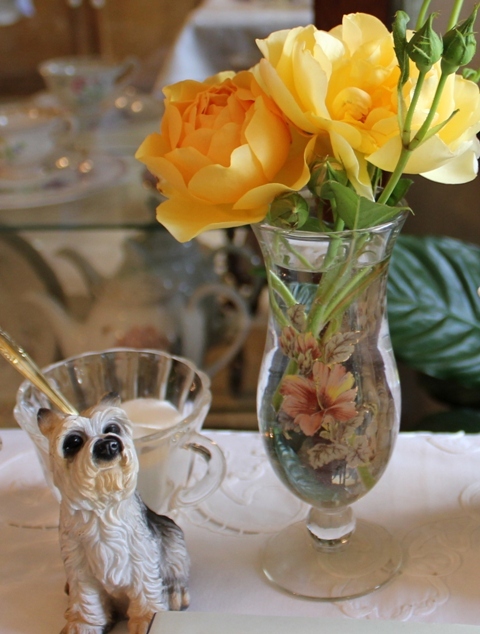 Love the little dog, I have a dog collection...if you like you can look at two of my posts back and see. I'm also at FTS.